Quinceañera cakes are a tasty addition to your quinceañera planning. A quinceañera is a fifteenth birthday celebration for girls of Hispanic descent. Long ago, the celebration signaled a girl's readiness for marriage. Now it is a more general celebration of the journey to adulthood. A religious ceremony is typically followed by a reception with a catered meal and, of course, cake. 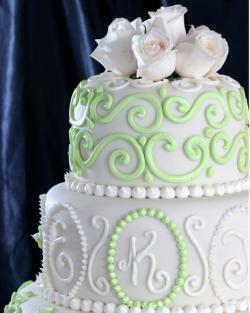 A quinceañera cake can be similar to a bridal cake in size and elegance. 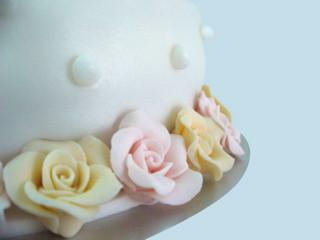 If you would like to serve this style of cake, you will most likely want to employ the services of a bakery. How familiar your local baker is with the idea of a quinceañera will largely depend upon the ethnic make-up of your area. However, an understanding of the celebration isn't necessary to create a suitable cake. If your bakery is accustomed to creating wedding cakes, they should be able to help you design a cake for your celebration. You may need to provide your own topper or other quinceañera-specific accents. However, it isn't necessary to purchase a cake from a baker. Homemade cakes are perfectly acceptable as long as you have the time and inclination to make enough cake to serve all your guests. Another fun option is to serve cupcakes instead of cake. The whole family can get involved in making and decorating the cupcakes. 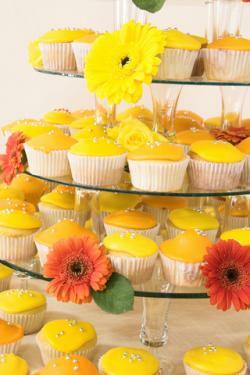 During the reception, they can be decoratively arranged on serving platters and tiers. The size of your reception will determine the size of the cake. If you're ordering a cake from a professional bakery, most bakers have created reliable estimates of how many guests each of their cakes should serve. If you're not sure, and your budget allows it, err on the side of caution. It's better to have too much cake and send guests home with an extra slice than it is to not have enough for everyone. The quinceañera cake should fit with the overall decorating scheme or theme of the reception. Colored icings, floral accents, and decorative elements like lace and beads can help the cake match the rest of your décor. A tiara can be more than a headpiece; it can also be a cake topper. Since a teen often feels like a princess during her quinceañera celebration, castles and coaches are popular cake toppers. A personalized blown-glass topper will be a lasting memento of the special day. 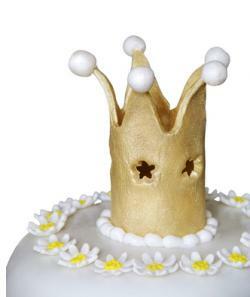 If the cake is large enough, small dolls representing the girl's court may be placed on the cake.